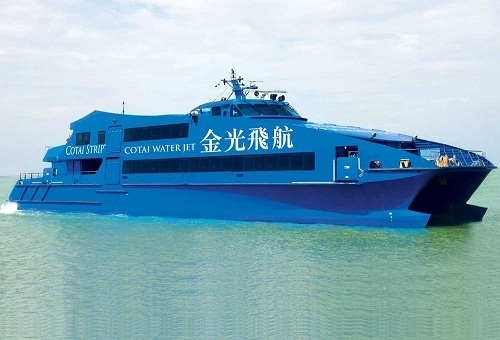 Ferry services between Hong Kong and Macau, your travel gateway to the Cotai Strip. Upon arrival in Macao, passengers can take a convenient, complimentary ride on our big blue luxury air-conditioned coaches to the doorstep of Sands Macao, The Plaza Macao or The Venetian Macao and Sands Cotai Central. View the complimentary shuttle bus schedule.